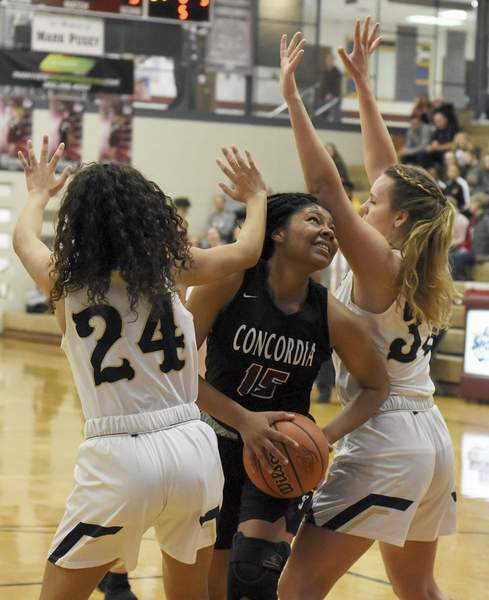 Rachel Von | The Journal Gazette Concordia's Nautica Rogers tries to push past Bishop Dwenger's Kayliana Hammel, left, and Carissa Wiegman to get to the hoop during the second quarter at the girls basketball sectional at Concordia on Friday. Rachel Von | The Journal Gazette Bishop Dwenger's Sophia Dickerson tries to get past Concordia's Nautica Rogers to get to the basket during the first quarter at the girls basketball sectional at Concordia on Friday. 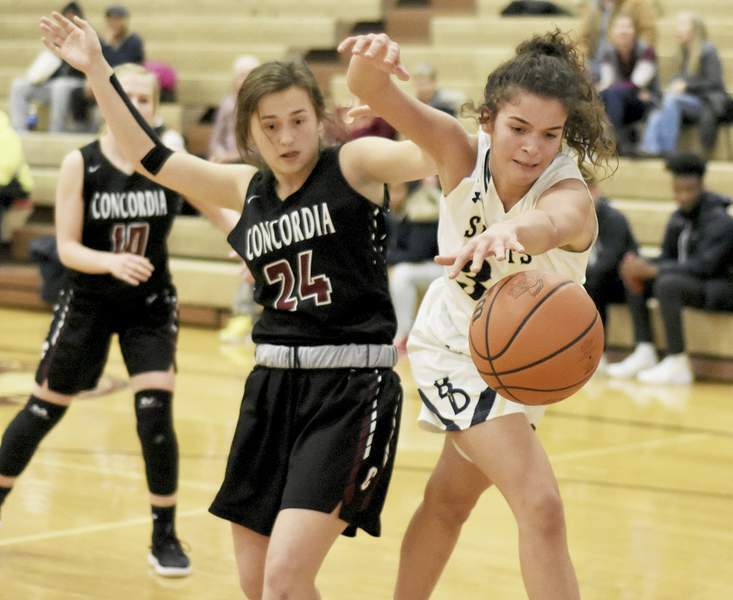 Rachel Von | The Journal Gazette Concordia's Carissa Garcia pushes past Bishop Dwenger's Carissa Wiegman to get to the hoop during the second quarter at the girls basketball sectional at Concordia on Friday. 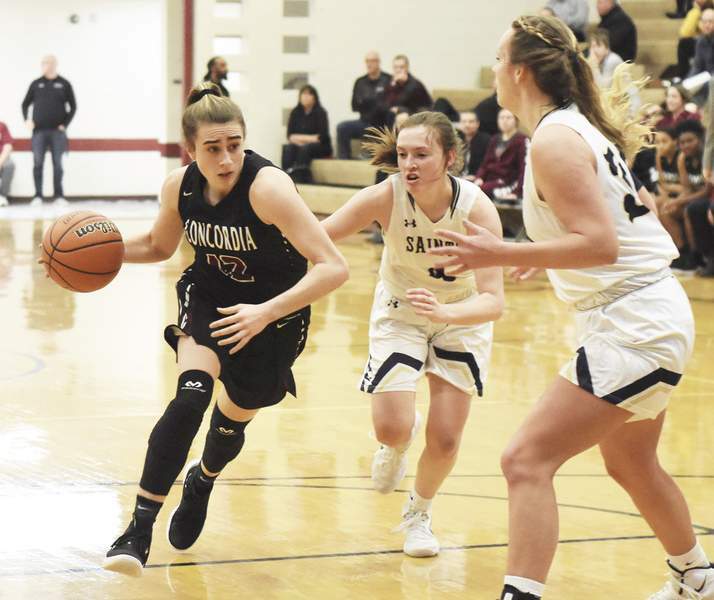 Rachel Von | The Journal Gazette Concordia's Carissa Garcia tries to race past Bishop Dwenger's Molly Ream and Carissa Wiegman to get to the hoop during the second quarter at the girls basketball sectional at Concordia on Friday. 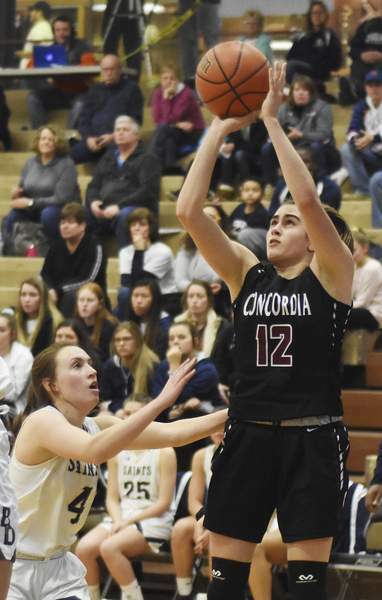 Rachel Von | The Journal Gazette Concordia's Carissa Garcia shoots the ball as Bishop Dwenger's Molly Ream tries to block the shot during the second quarter at the girls basketball sectional at Concordia on Friday. 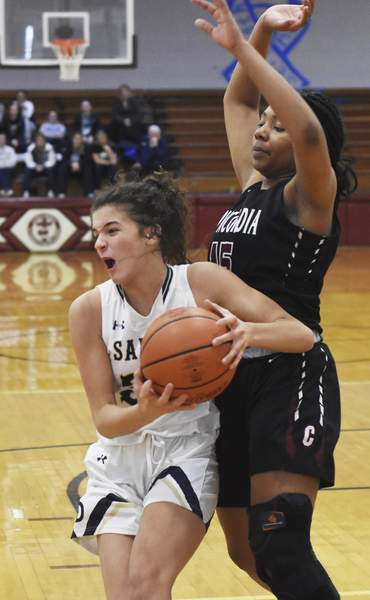 Rachel Von | The Journal Gazette Bishop Dwenger's Sophia Dickerson and Concordia's Ellesyn Fritcha fight for the ball during the first quarter at the girls basketball sectional at Concordia on Friday. 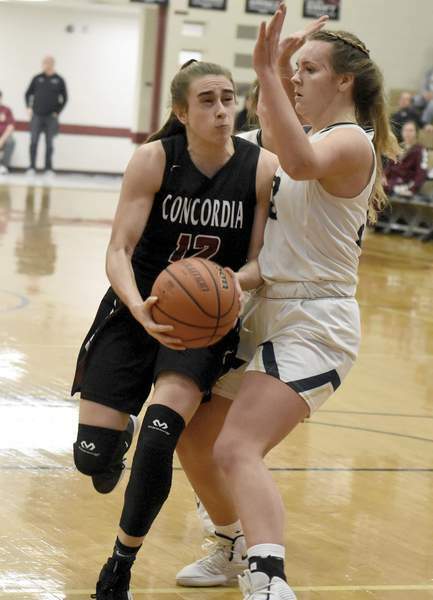 Rachel Von | The Journal Gazette Bishop Dwenger's Lexi Linder pushes past Concordia's Meg Barkley to get to the hoop during the first quarter at the girls basketball sectional at Concordia on Friday. 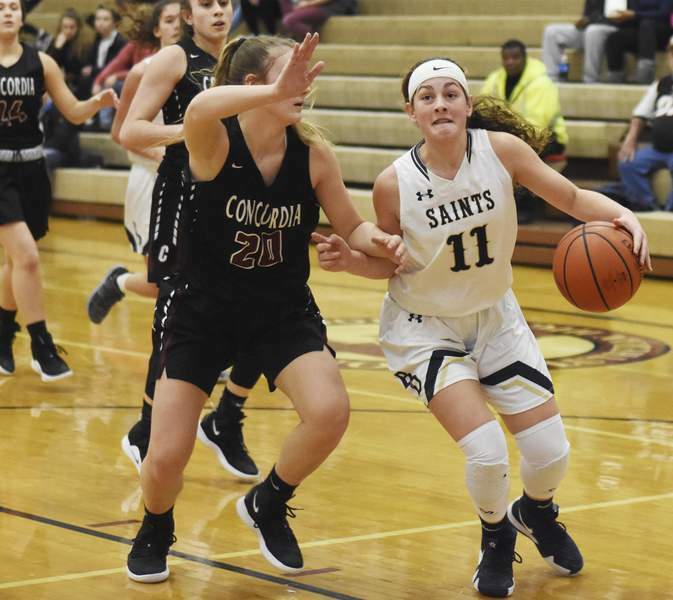 Concordia played host to the Bishop Dwenger in girls basketball sectional action Friday night.